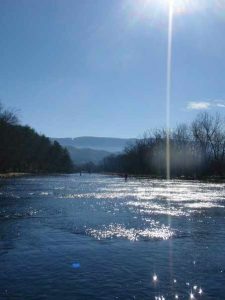 Home / Fly Fishing Products / Rods / Tennessee Tailwaters Stream Report - May 1, 2012 / Bright Sun Shiny Day! Busy Day on the South Holston. No need to move around, there are fish EVERYWHERE!